15 minutes from Manhattan there's a place where even the cops fear to tread. 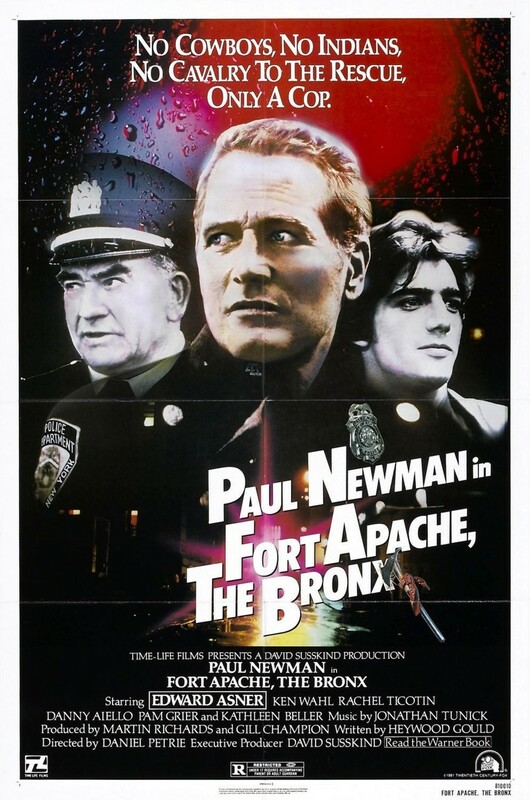 Murphy is a cop for New York City in the South Bronx, working at the precinct nicknamed Fort Apache. A new chief comes to the precinct to catch a cop killer and has no qualms about squashing the rights of the South Bronx inhabitants. When a fellow officer shoots and kills an innocent man, Murphy must decide whether he should confront him about the wanton act of violence. To make things even more complicated, Murphy discovers his girlfriend has become a heavy drug user. After a hospital shootout, Murphy must finally side with his conscience.